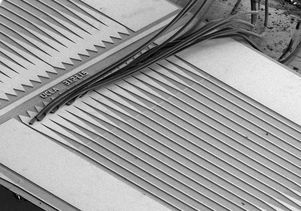 Unlike a simple mirror, the metasurface developed in Benjamin Williams’ lab amplifies terahertz waves as well as reflecting them. ​Researchers at the UCLA Henry Samueli School of Engineering and Applied Science have identified a new way to make a semiconductor laser that operates at terahertz frequencies. The breakthrough could lead to development of a new class of high-quality, powerful lasers for use in space exploration, military and law enforcement efforts and other applications. The terahertz range of frequencies occupies the space on the electromagnetic spectrum between microwave and infrared. Terahertz waves can be used to analyze plastics, clothing, semiconductors and works of art without damaging the materials being examined; for chemical sensing and identification; and to investigate the formation of stars and composition of planetary atmospheres. Researchers led by Benjamin Williams, a UCLA associate professor of electrical engineering, have created the first vertical-external-cavity surface-emitting laser, or VECSEL, that operates in the terahertz range. VECSELs that use visible light have been used extensively to generate high-powered beams, but the technique has not previously been adapted for terahertz frequencies. 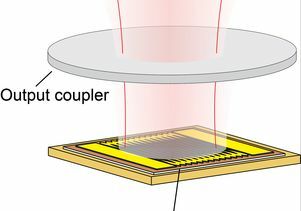 To make it possible to build an external cavity laser with a high-quality beam, the UCLA researchers created a VECSEL with a “reflectarray metasurface mirror.” The device is so named because it is made up of an array of many small antenna-coupled laser cavities such that when a terahertz wave hits the array, it doesn’t “see” the cavities, but rather is reflected as if it were being reflected from a simple, flat mirror. Unlike a simple mirror however, the mirror amplifies terahertz waves as well as reflecting them. The research was published this month in Applied Physics Letters. 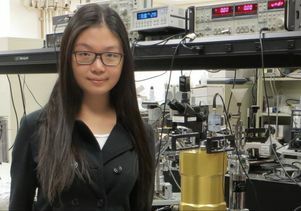 Creating a beam that is symmetrical and straight over large distances and changing thermal conditions is a challenge for many semiconductor lasers, but particularly for terahertz quantum cascade lasers, which usually use metal laser cavities with dimensions much smaller than the wavelength. Xu said the researchers already are working on several new designs to further advance the technology. Other authors of the study were Christopher Curwen, a UCLA graduate researcher in Williams’ lab; Philip W.C. Hon, who recently earned his doctorate from UCLA; Qi-Sheng Chen, then an engineer at Northrop Grumman Aerospace Systems; and Tatsuo Itoh, who holds UCLA’s Northrop Grumman Chair in Electrical Engineering. The research was funded by the National Science Foundation. 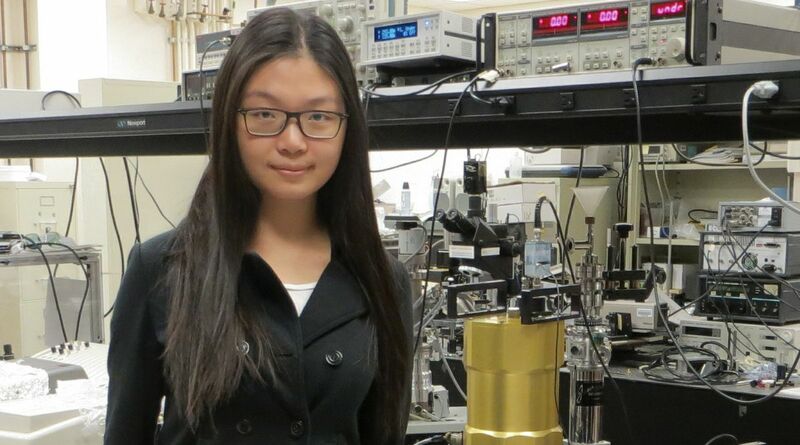 Researchers used the UCLA Nanoelectronics Research Facility to make the device. 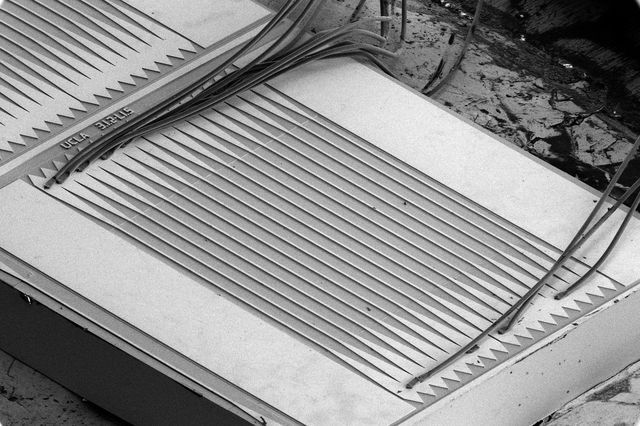 The metasurface developed in Benjamin Williams’ lab for a VECSEL device that works in the terahertz range.